It’s no accident that direct mail has been able to stand the test of time. Even with the advent of digital technology and the social media craze, direct mail marketing still stands as one of the top methods for reaching consumers. 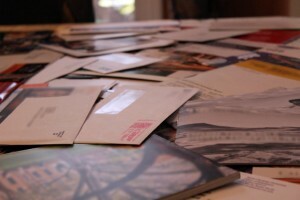 The foundation for direct mail is what has given it long-term staying power. Businesses that successfully utilize their platforms understand how important it is to focus on what makes direct mail successful in the first place. When analyzing these principles, we see that there are four main tenets of direct mail, each equally as important. Before you write any copy or design any catalogues or coupons, the first obligation for any business prepping a direct mail campaign is to clearly state what it hopes to get out of it. These goals must be extremely specific: Are you getting new leads to subscribe to your newsletter? Are you trying to obtain new clients? Are you only reaching out to current ones? Being able to precisely articulate what your goals are will dictate how you set up your direct mail campaign. Now that you’re set on what you are trying to achieve, the next question becomes who you will target to meet those goals. There are so many ways to break down your lists; age and gender are just the tip of the iceberg. Are your targets in the city or in the suburbs? What were their past purchases? If they are current clients, what was their engagement on past campaigns? The narrower you can get with your segments, the higher engagement rates you can expect with your campaign. The first two principles are keys to determining this vital principle. Design includes color, shape, and the images you will use in the mailer, but it also incorporates the copy. Knowing what your goals are and who you are targeting should make knowing what to say a bit easier. But do not take this step for granted. Having a clear, straightforward call to action could mean the difference between achieving your goals and having to completely rewire your campaign. Give the copy the time it deserves. It’s that important. While the aforementioned three points can certainly be considered the foundation of direct mail marketing, there’s one more point that must be mentioned: conducting tests. Yes, testing is as much a part of direct mail as any of the other principles we’ve mentioned. Any campaign you execute must be tracked and then analyzed for its effectiveness. Once you’ve done that, then you can eliminate what doesn’t work and repeat the best aspects of the campaign in the future. The thing about direct mail is that it’s a commitment. You are committing to a predetermined period of time in which to get the results you want. That period of time usually includes just a single mailing when, in fact, the best results come with repeat mailings. This is why testing can be considered a foundational principle. If your business can remember these four simple concepts moving forward, then you will assuredly be better off than you are now. Consistently apply these to every single campaign, and watch your results improve. At Macromark, we work with a wide variety of clients looking for lists that can help with sales. We know how important it is to have specifically targeted lists so marketers can execute successful direct mail campaigns. In our 20 plus years in the business, we’ve helped hundreds of clients reach their targets and increase profits. Contact us to learn more.